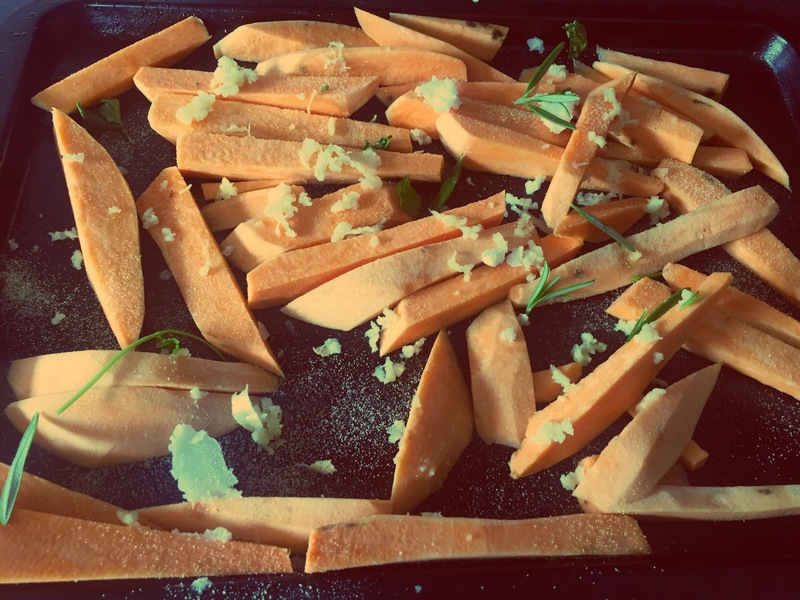 we eat a lot of sweet potato in my house and as yummy as it is, I wanted to do something a lil different with it tonight. 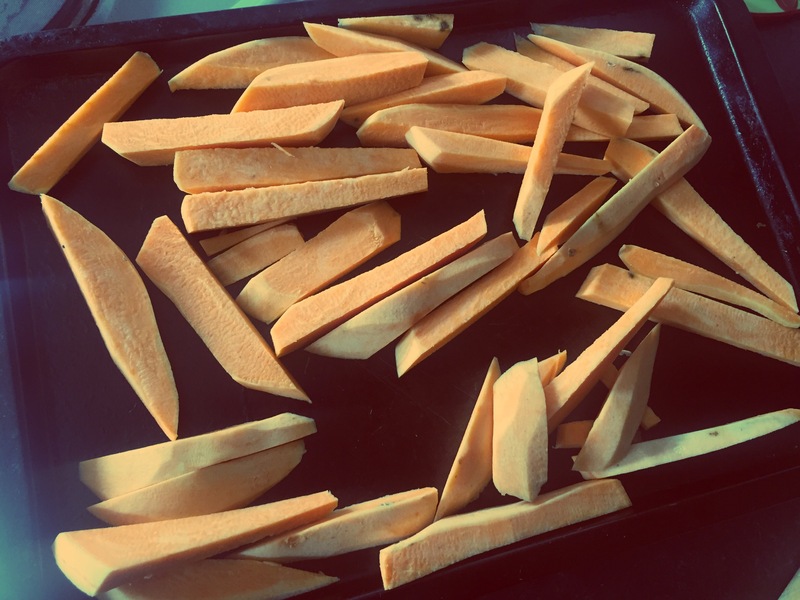 I chopped the sweet potatoes up into chips and stuck them on a baking tray! Added a spoonful of coconut oil and about 5 cloves of minced garlic along with some fresh thyme. 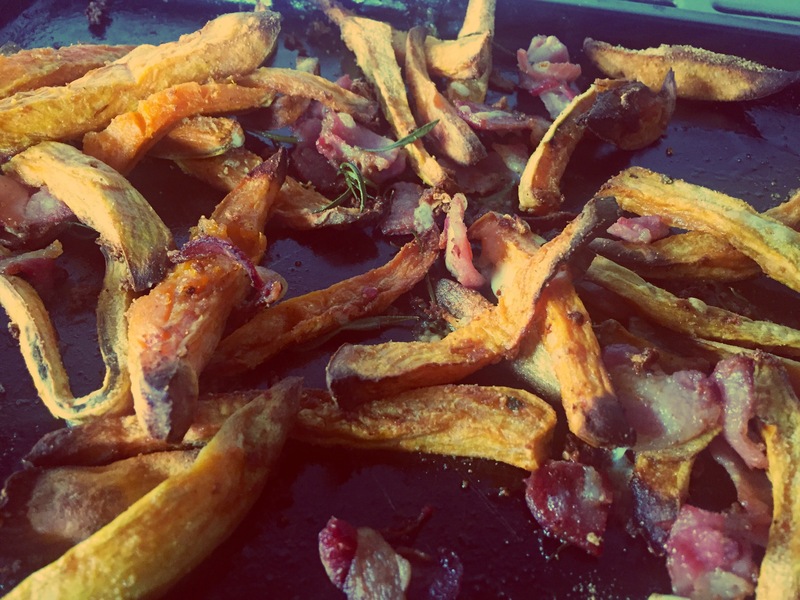 Cooked these in the oven for around 45 mins (check and oil when needed regularly) I then cut up two bacon rashers and added them in for the last 15 mins. So simple clean and tasty, if I had Parmesan I would have added this so will try that next time!